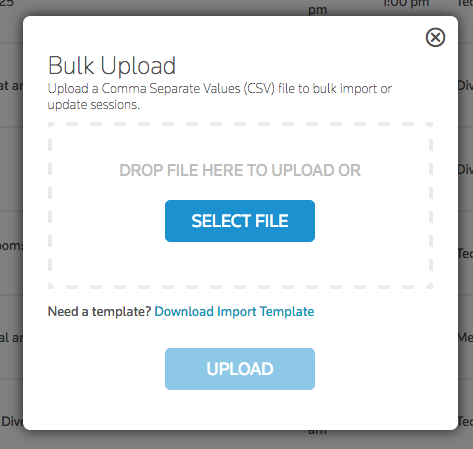 The following depicts each of the content types for the Session bulk upload templates. To Bulk Upload, sign into Convene Manager. Note: do NOT alter the headers in any way (including deleting columns). Select UPLOAD and the file is uploaded. Could be a sentence, could be several paragraphs. Any of the tracks added in the Tracks section. Any of the rooms added in the Rooms section. 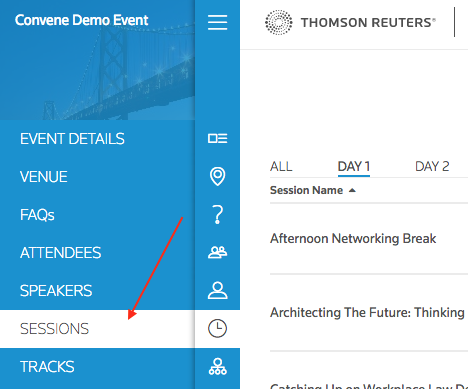 TRUE = Show this session in the "Activity List" in the "Event Info" section of Convene. FALSE = Do Not Show this session in the "Activity List" in the "Event Info" section of Convene. A Poll URL, such as a Survey Monkey or Live Poll. TRUE = Session Ratings & Feedback is enabled. FALSE = Session Ratings & Feedback is not enabled.